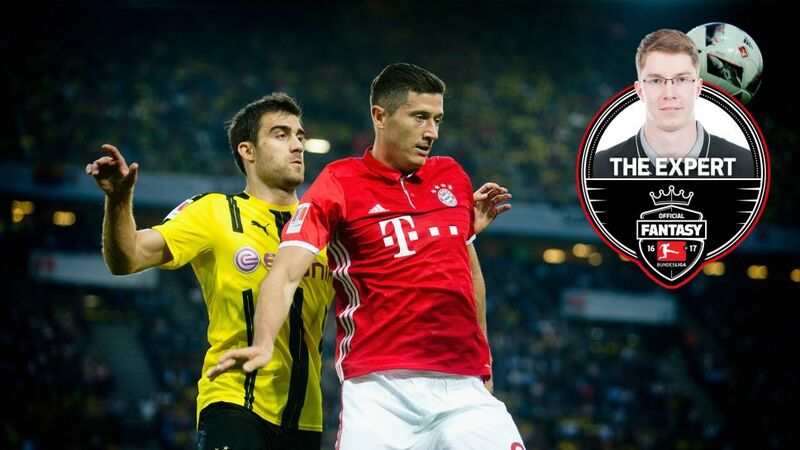 The Bundesliga returns with a bang this weekend as Borussia Dortmund entertain FC Bayern München in the 95th Bundesliga edition of Der Klassiker. BVB could move to within three points of the league leaders with victory at SIGNAL IDUNA PARK, but precious points are also at stake in the Official Fantasy Bundesliga! The Official Fantasy Bundesliga Autumn League ends on 18 November, but it's not too late to sign up! Like me, you're probably facing a bit of a selection headache ahead of Matchday 11's titanic tussle. Should I go for Robert Lewandowski or Pierre-Emerick Aubameyang in attack? Should I assemble a back four made up of players from other teams, in case Saturday's clash finishes 4-4? Do I keep faith with Manuel Neuer between the sticks?